The Vegan Everything: Winter Wonderland Bake Sale! There is a big event coming up that I need to let you guys know about. 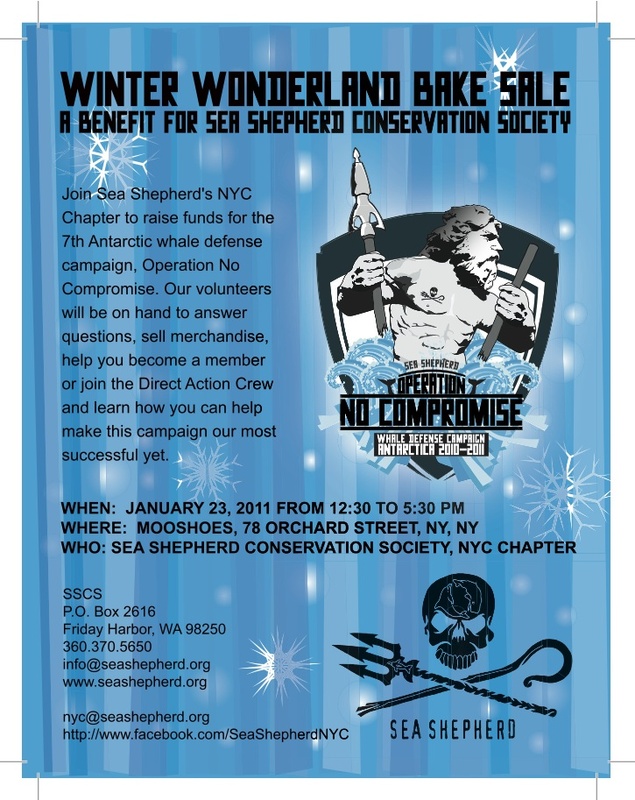 So, NYC has a Sea Shepherd chapter and we are having a bake sale! Why: To raise funds for Operation No Compromise! To continue fighting the Japanese whale killers! I'll be one of the volunteers there to help answer your questions, so if you can make it out on Sunday come find me and say hello! I'm baking chocolate chip cookies. Come buy some! It is for a really swell cause. Sea Shepherd is the only group taking direct action to protect our oceans. Besides, who doesn't love whales?? Will you be attending the bake sale? Hope to see you there!